If you hunt or spend anytime outdoors you want a knife with a few different blades to handle many different tasks. You need a tool to cut, slice and saw. Here is a knife that does all that and still fits into your pocket. Case has a reputation for making beautiful, durable, handcrafted knives and is the perfect example of that. The handle is beautiful natural jigged amber bone – truly beautiful. This pocket knife come with three slip joint blades all made from try-sharp surgical steel. This knife comes with your standard clip blade to do anything from sharpening sticks to cutting up vegetables for a meal around the campfire. The second blade is your gut hook to field dress game, but also is great for cutting string and saving your clip blade for more important tasks. The last blade is your saw blade that also features a screwdriver head on the end of the blade. 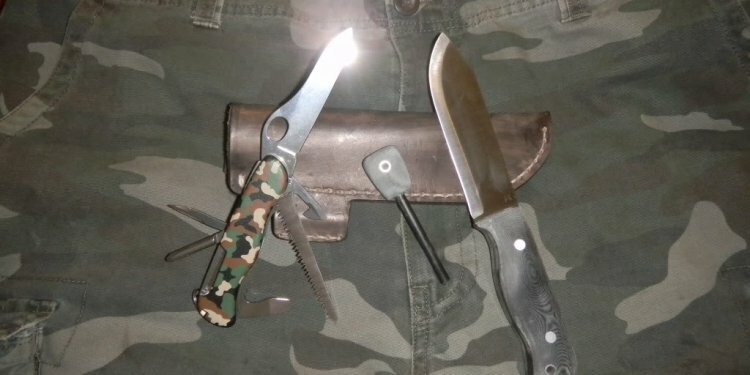 This knife is equipped with everything you need for hunting, camping and anything outdoors.